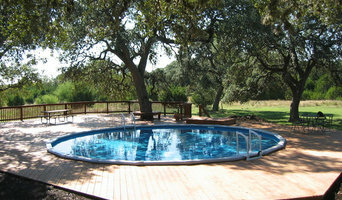 The Above Ground Pool Company is the home of your San Antonio and Bexar County above ground swimming pool experts. 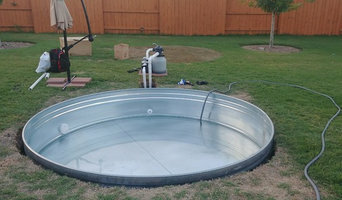 Since 1995, our team has been selling and installing above ground pools, swim spas and spas in Texans’ backyards. We have pools, swim spas,hot tubs, maintenance equipment and accessories for every budget, and even provide weekly servicing. Our award-winning pool builders deliver and install every swimming pool we sell: you’ll never be stuck with a subcontractor. As you walk into the Tuscan-inspired showroom near Redland Rd. on Loop 1604, the first impression would be WOW! As the exclusive dealer in South Texas for Jacuzzi Hot Tubs and Sundance Spas, over ½ of the store is dedicated to showcasing the latest hot tub models from the two best manufacturers in the world. The showroom is adorned with beautiful tapestries, one-of-a-kind wall art, Fountains, BBQ Grill Islands, Finnleo Infrared Saunas, Pergolas , and an extensive Jacuzzi Bath Showroom. With all this we offer Custom Backyard Design and In-Home Bathroom Design with our top Designer on staff. Come in and see the best Home and Garden Show in San Antonio all year round. It’s important that you do some research before visiting a local Buda spa and hot tub dealer. While they can give you lots of information about features and financing, you should have an idea of where you would like to position your spa and what its main function will be. Do you plan to use it mostly for relaxation or socialization? How many people will be using it? All of these things will help the hot tub dealer pick the best models for you. Decide who will be responsible for daily maintenance in your household and if the extra energy costs are something you’re actually willing to incur. Also, know that most hot tub stores in Buda, TX let you do test soaks, also known as a “wet test”, where you can throw on your suit and take each model for a spin in the showroom so you know exactly how they feel before purchasing. Don’t be shy — just think of it as test driving a car! 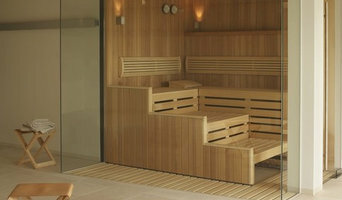 Find spa and hot tub dealers in Buda, TX on Houzz. 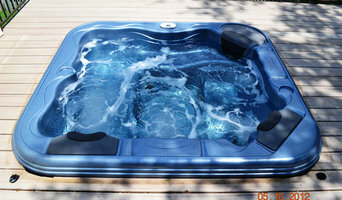 Narrow your search in the Professionals section of the website to hot tub and spa dealers in Buda, TX. You may also look through photos to find hot tub designs you like, and ask about the details of the spa, including the manufacturer and where it was was purchased.